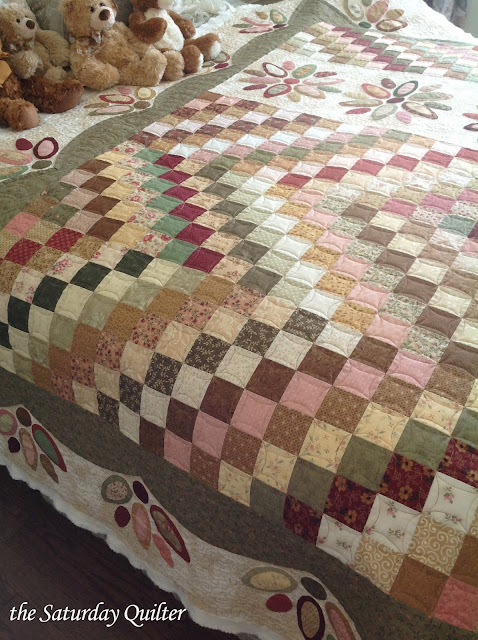 Una maravilla de quilt y de acolchado. Enhorabuena por tan excelente trabajo. really a lovely quilt, has a sweet vintage feel. 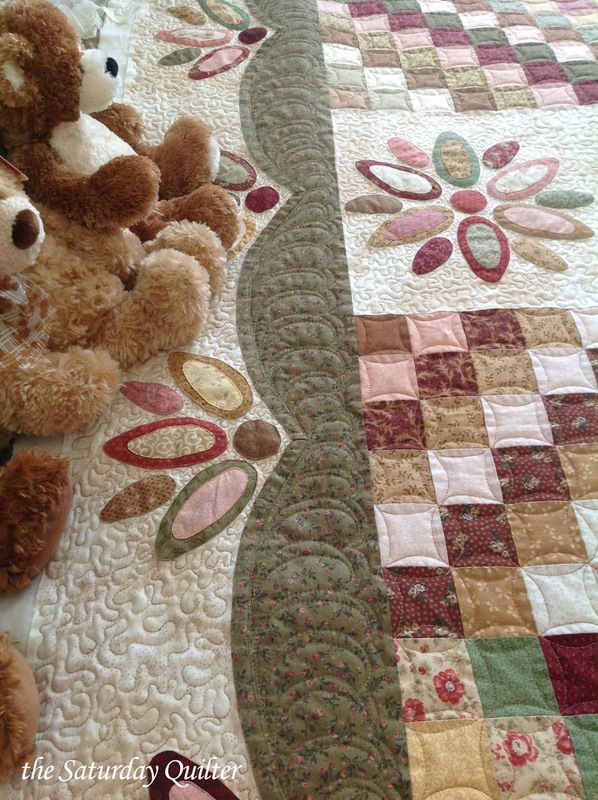 That is such a beautiful quilt - both design and colour. I think your non-straight quilting suits the quilt delightfully well.